Established in 1959, Park Nicollet Methodist Hospital, a 400-bed hospital in St. Louis Park, Minnesota, is renowned for high quality patient care, medical expertise and disease management. Park Nicollet Methodist Hospital is part of Park Nicollet Health Services and HealthPartners. 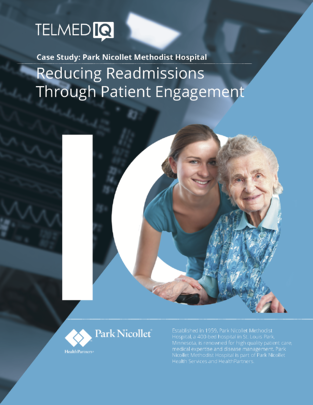 After struggling to hit its readmission rate goals, Park Nicollet adopted a text-first approach to patient outreach for follow-ups that reduced readmissions and nurse workloads.